US 50 to SR 350 to Hogan Hill Rd to lt on Old Hogan Hill Rd @ bottom of hill. Property on right. Sign on. 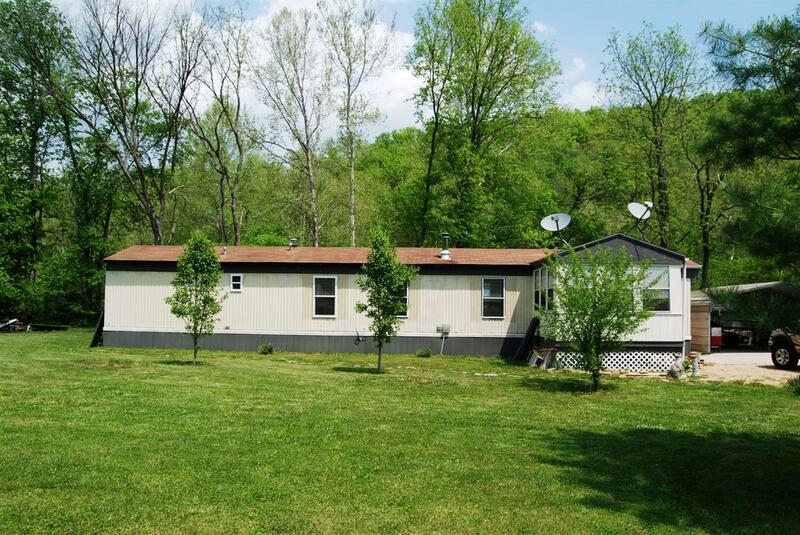 2 bdrm, 1 bth mobile home on almost 1.5 acres. Property features 2 storage sheds; carport that is currently used as a patio; 2 enclosed porches; deck off of patio; wood-burning stove that was put in by code. Creek behind but this property doesn't go all the way to it.